Pakistan’s renewed pitch and new-found enthusiasm for religious diplomacy with India found a new voice on the eve of Imran Khan’s swearing in ceremony. Islamabad found a suitable emissary for their religious diplomacy in Navjot Singh Sidhu who attended the oath-taking ceremony of Khan. 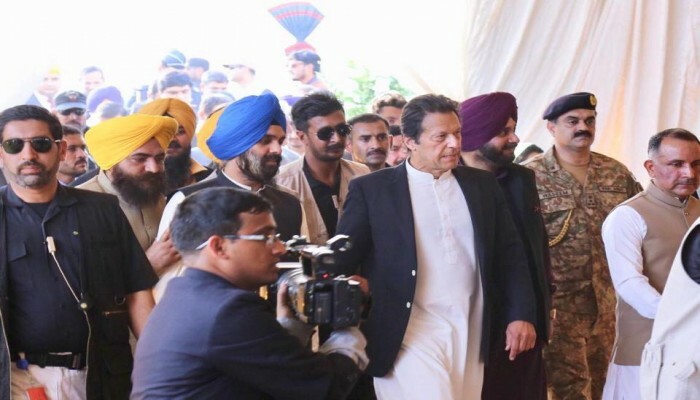 The over exuberant Sidhu who began singing paeans of his Pakistani friends after his return disclosed to media about Pakistan Army Chief Qamar Bajwa’s intention to open Dera Baba Nanak (Kartarpur) corridor for the 550th Guru Nanak’s birth anniversary. Kartarpur Sahib, one of the most sacred places for Sikhs in Narowal Pakistan is 4 km from the International Border. Till now Indian Sikhs had to be contended at the mere glance of the revered place through a high-powered telescope on the Indo-Pakistan border. Atal Bihari Vajpayee who carried a message of peace on his Lahore bus ride to Pakistan in 1999 first proposed this idea of opening the Kartarpur corridor. In 2000, Pakistan agreed to allow Sikh pilgrims a visa-free visit to the shrine by constructing a bridge to connect the Indian side to the Gurudwara. Since then both countries never had any agreement in principle. After eighteen long years, Pakistan began to make overtures to India through the garrulous Congress leader Sidhu who became the messiah of bilateral peace initiatives overnight. Islamabad’s ploy of exploiting the sensitive cultural and religious sentiments of Indians and more specifically Sikhs made Indian strategists circumspect of Pakistan’s intentions. Neck deep in economic crisis, facing international alienation and grey-listed by FATF (Financial Action Task Force) for failing to implement money laundering legislations, Pakistan is seeking a truce with India. More than three months into power, Imran Khan has been desperately trying to keep Pakistani economy sinking under the burden of bad debts, depleting forex reserves and falling rupee. After swearing in as Prime Minister Khan travelled to Saudi Arabia twice seeking funds. Amidst string of cancellations by high-profile industrialists and heads of state to the “Future Investment Initiative”, touted as “Davos of the Desert” held in the aftermath of journalist Jamal Khashoggi’s brutal death, hard-pressed for finances, Khan attended the meet. Soon he embarked on a five-day foreign visit to China for financial assistance. Khan was denied funds but both countries signed slew of agreements to strengthen solidarity and friendship. Similarly, Pakistan reached out to UAE which offered some help. In the meanwhile, the visiting FATF delegation not satisfied with Pakistan’s efforts to curb terror recommended its inclusion in the grey list. In September acceding to Pakistan’s request India initially agreed for a dialogue between Foreign Ministers along the side-lines of UNGA meetings. Within 24 hours India cancelled the proposed meet after Pakistan released a postal stamp to honour terrorist Burhan Wani and brutal killing of security personnel patrolling on the Indian side. Pakistan cried foul and Khan tweeted, “disappointed at the arrogant and negative response by India to my call for resumption of the peace dialogue. However, in all my life I have come across small men occupying big offices who don’t have the vision to see the larger picture” in an ominous reference to Prime Modi. All these incidents reiterate that Pakistan is desperately trying all tricks in its book to bring the country from isolation and economic distress. Not just India even US vexed up by Pakistan’s inaction and double game US threatened to block financial assistance. The relations were severely strained. Just before Mike Pompeo’s visit to Pakistan, as if to assure its commitment towards fighting terror elements in Afghanistan, Islamabad announced death of Jalaluddin Haqqani, founder of Afghan and Pakistan Taliban. Over decades, Pakistan has mastered subterfuge and trickery. Now its cursory measures towards curbing terror measures are not taken in good stride. Despite serious differences with US, Pakistan is trying to woo the US since its nod is mandatory to avail IMF assistance. Pakistan for the 12th time has approached IMF for financial bailout package to keep its economy afloat. A fortnight ago, severely miffed President Trump said, “Pakistan didn’t do a damn thing for us”. As per PTI reports, it is now learnt that US has suspended $3 billion financial assistance to Pakistan this year. Pakistan’s global reputation is plummeting. Islamabad is making desperate attempts to resurrect its international image. At this juncture, Indian government sent a request for construction Kartarpur Corridor from Dera Baba Nanak in Gurdaspur district to Gurudwara Darbar Sahib Kartarpur on banks of river Ravi to Pakistan. It stated, “The Kartarpur Corridor will be implemented as an integrated development project with government of India funding, to provide smooth and easy passage, with all the modern amenities. Government of India will put in place suitable facilities for smooth passage of pilgrims. Government of Pakistan will be urged to recognise the sentiments of Sikh communities to develop a corridor with suitable facilities in their territory as well”. Pakistan immediately approved India’s request. For decades, Sikhs have been demanding the construction of Kartarpur corridor and a nod from both governments was hailed by international community. Along with its request to the Pakistan government India conveyed its apprehensions, “despite the harassment that pilgrims face on the Pakistani side, with the Khalistani posters or through the lack of access to consular officials, Sikh pilgrims continue to make this difficult journey. Our proposal is so that the burden of pilgrims can be eased significantly”. This statement underscores India’s scepticism towards Pakistan. But went ahead with this decision to honour the sentiments of Sikhs. Government’s “landmark” decision evoked flurry of responses. Alyssa Ayres termed “this move will generate good will and help keep bilateral relations steady”. 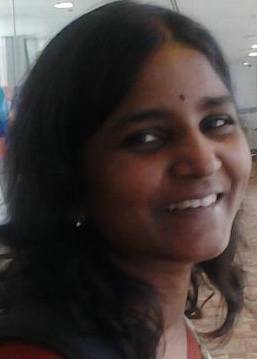 Sreemoy Talukdar of First Post, wrote, “it would be shame if domestic political considerations lead to strategic vulnerability”. With elections around the corner, it would be anybody’s guess that ruling party would easily succumb to such pressure. But aside these political considerations, it a fact that despite being labelled as “nationalist party”, BJP at the helm of the affairs have displayed extraordinary will and zeal to build bridges of friendship with Pakistan. In his article, “A bridge too long” for TOI, former ambassador Vivek Katju recalled the enthusiasm of Atal Bihari Vajpayee who travelled to Lahore on bus with a message of peace and proposal to open the Kartarpur corridor. But within months, Pakistan reciprocated India’s friendly gesture with a perfidious Kargil war. After twenty years, Prime Minister Modi reposed similar hope and invoked fall of Berlin wall to reiterate the transformative nature of his government’s decision on Kartarpur. But the moot point remains is Pakistan worthy of India’s generosity? Going by Pakistan’s record of perfidy, duplicity, subterfuge and lies during the past seven decades, government’s overdrive appears to be misplaced and ill conceived. The massive decision on Kartarpur has come on a day when India protested Pakistan government for preventing entry of Indian diplomats into the Nankana Sahib Gurudwara and Dera Sacha Sauda. Also, when Punjab police investigation have confirmed Pakistani links of the suspects involved in the grenade attacks on the Nirankari Ashram near Amritsar that killed three persons and left 20 injured. Pakistan’s relentless attacks amidst India’s inability to fathom its treachery is forcing people to question frailty of government in repeating endless mistakes of history? Pakistan has penchant for inciting communal disharmony and stoking secessionist passions. Even its role in revival of the Khalistani movement is incontrovertibly established. Hence government’s misplaced judgement of Kartarpur corridor adding a modicum of stability seemed fallacious. Above all, the inexpiable insensitivity of holding the ground-breaking ceremony corridor on the Indian side at Dera Baba Nanak, Gurdaspur on 26th November by Vice-President Venkaiah Naidu and Punjab Chief Minister Amarinder Singh has added dubious dimensions to the whole exercise. Even after 10 years of the most brutal 26/11 terror attacks while victims still await justice, Indian government thanked the Pakistan side for accepting India’s proposal, who perpetrated the crime. The grievous oversight of policy makers and blindsided approach towards symbolisms reflected the indifference of the current regime. Modi regime has by and large added a fresh dynamism and momentum to Indian foreign policy. But its policy towards Pakistan characterised by flip-flops, somersaults and inconsistencies has given Islamabad enough room to outmanoeuvre Indian strategies. Disclaimer: The opinions expressed within this article are the personal opinions of the author. MyIndMakers is not responsible for the accuracy, completeness, suitability, or validity of any information on this article. All information is provided on an as-is basis. The information, facts or opinions appearing in the article do not reflect the views of MyindMakers and it does not assume any responsibility or liability for the same. MyIndMakers is a New Age Media Company established in 2015 to enable the exchange of Global Ideas and Solutions.